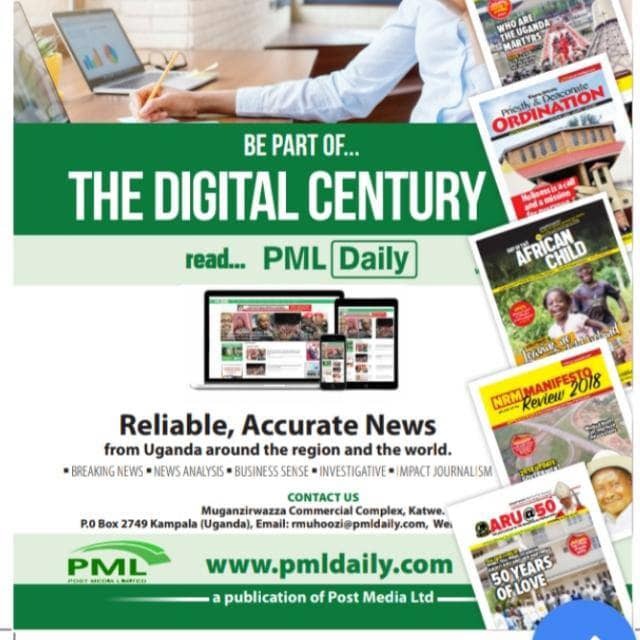 KAMPALA – Post Media Ltd, publishers of www.pmldaily.com is a Ugandan Media Company that specializes in Online/Digital Publishing, and also develops and manages other publications like Magazines, Newsletters, Bulletins and Reports for Leading Organizations and Government Agencies. Job Purpose: The successful candidate shall be responsible for growing advertising sales volumes in order to generate revenue and achieve targets.  Aggressively grow advertising business by conducting daily sales visits to potential and existing clients.  Maintain sales contacts with appropriate representatives of major advertisers and to follow-up and resolve any complaints.  Provide monthly sales and collection reports to the CEO.  Handle all customer complaints and give feedback to ensure customer satisfaction and growing client portfolio. If you believe that you are the ideal candidate for the position, please submit your application, detailed CV and academic documents with a daytime telephone number to: info@pmldaily.com not later than March 4, 2019.